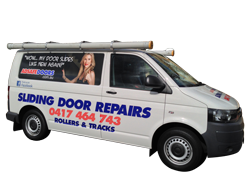 Call 0417 464 743 – As a specialist door repair company covering all of Sydney we are well positioned to look after all your door repair needs. Please fill out the form below and click the “Submit” button to send us your request for a quote and someone from Adsafe Doors will contact you as soon as possible. For the fastest response please Phone Us via the number below and we’ll answer all your questions directly. The phone is by far the best way to get your quote, your questions answered and a solution to your sliding door issues. What will happen when I call to get a quote on my sliding door repair? When you give us a call on 0417 464 743, we will ask you a few questions about the type of door that you have. Our main interest is to identify your door so we can provide a quick quote and you know exactly what your sliding door repair job will cost. With modern technology, we may even ask you to turn on your Facebook video. By doing this, you can show us exactly what type of door you have without knowing anything about doors. We will be able to view your door, determine the exact type of door you have and work out how much it will cost to fix it. We have found this to be the most efficient way to get a free quote. You will know exactly where you stand and the time frame needed to fix your sliding door. When can you fix my sliding door? Your door is our priority. We will provide a handful of options for you to choose. We work Monday to Friday and can fix your doors promptly once we start. We have been fixing sliding doors since 1992 so have the experience to get the job done professionally and quickly.